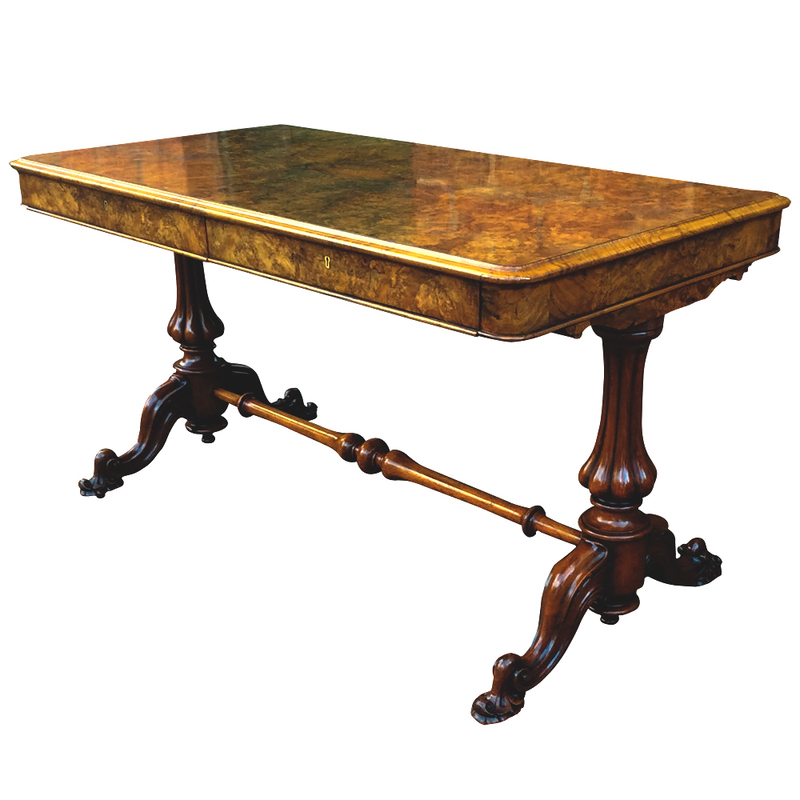 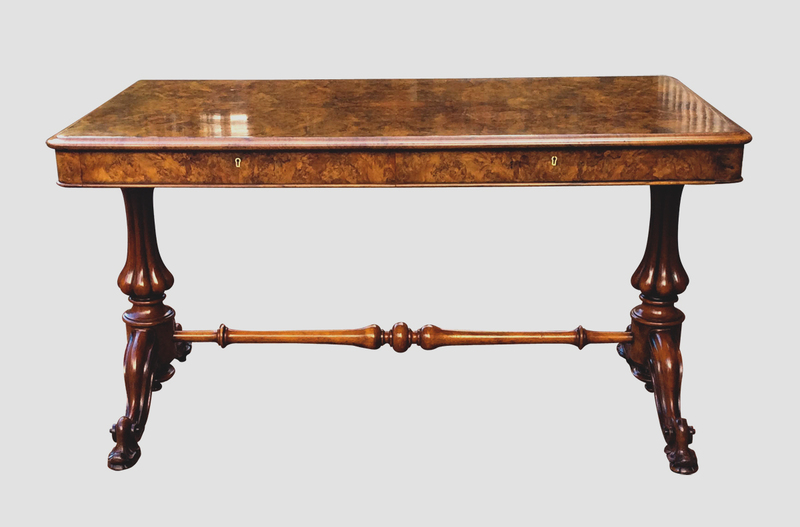 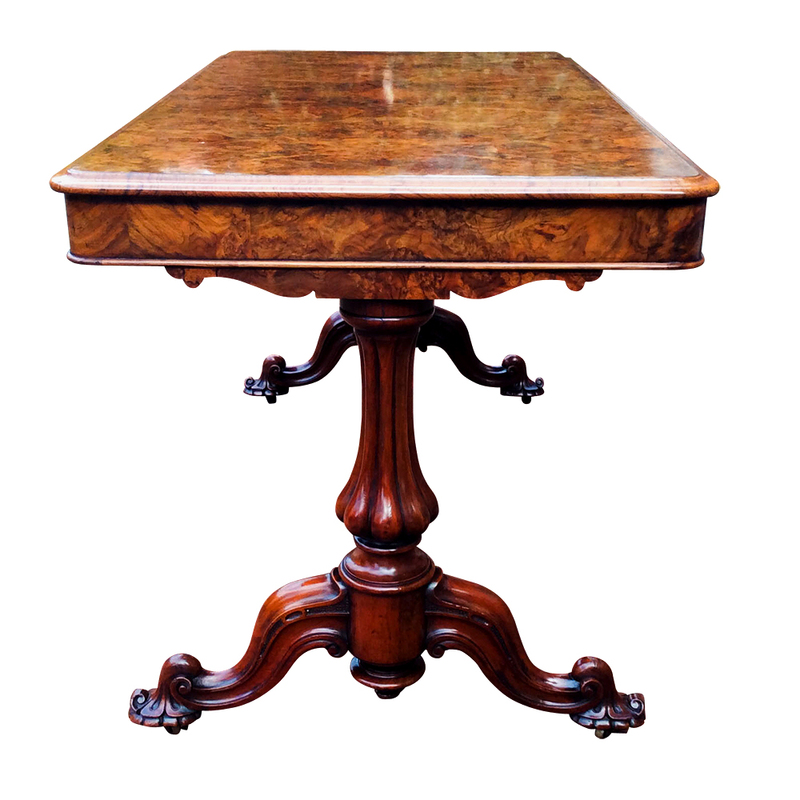 This beautiful antique Victorian table has magnificent ‘book matched’ burr walnut veneers to the top. 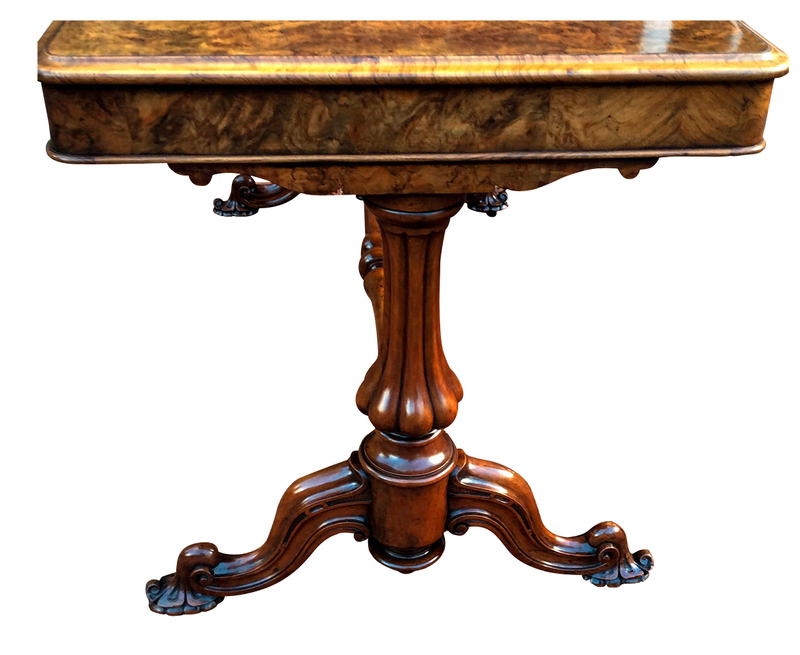 The top has a ‘thumb moulded’ edge with with rounded corners and a shallow frieze fitted with two wide and deep drawers to the front. 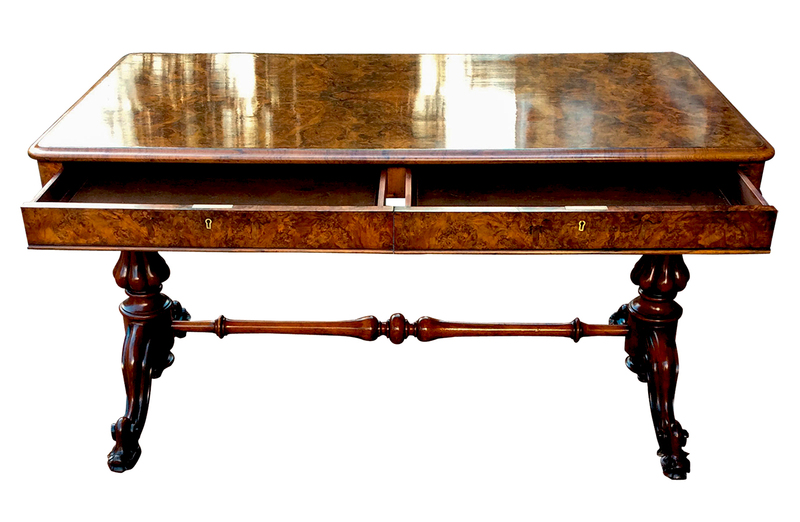 The drawers are mahogany lined with had cut dovetail joints and the original brass lock. 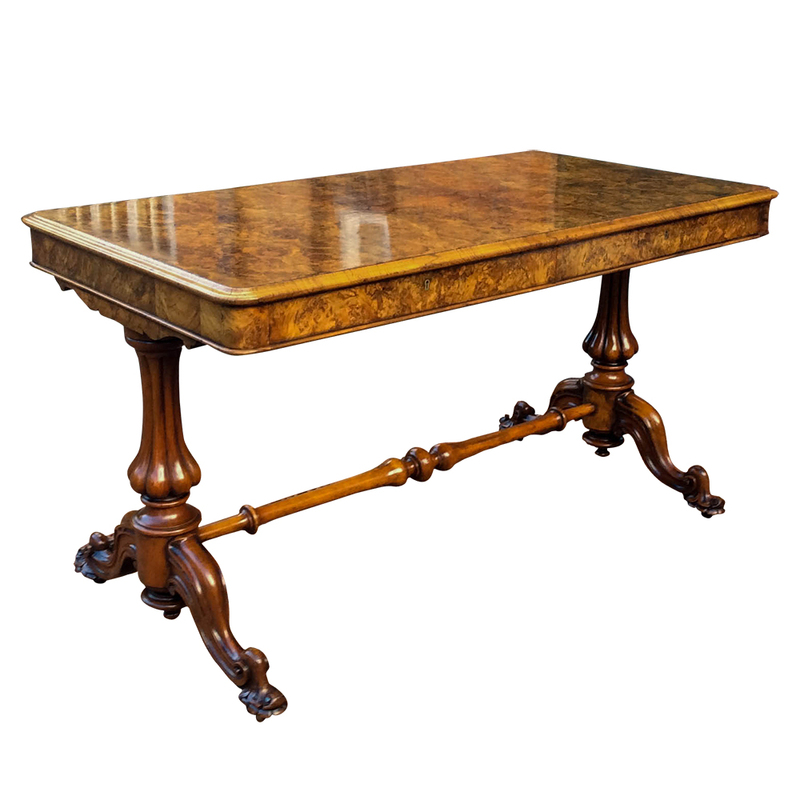 The table has baluster reeded end standards with beautifully carved cabriolet legs terminating in shell feet with the original brass castors. 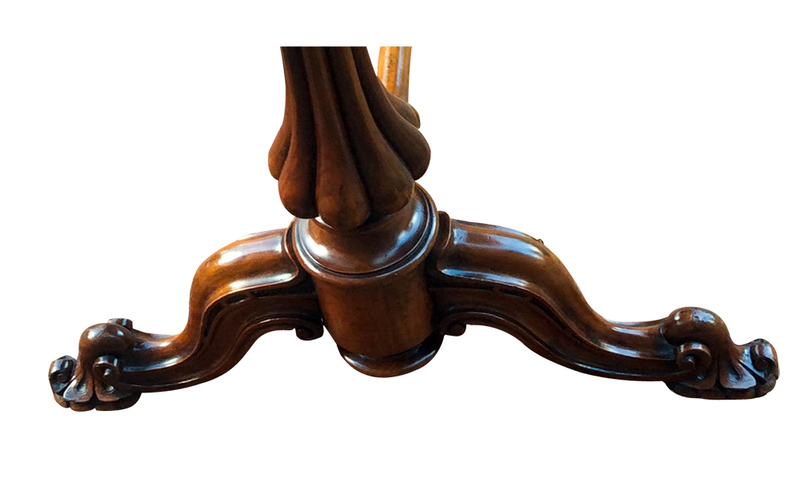 The end standards are joined by a boldly turned stretcher. 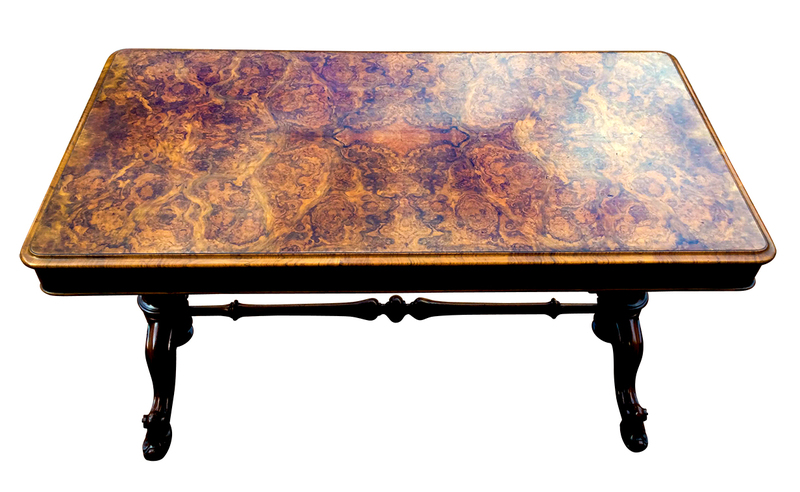 and french polished which highlights the lovely golden coloured patina.